Mmmmmmmm....How good does that sound? 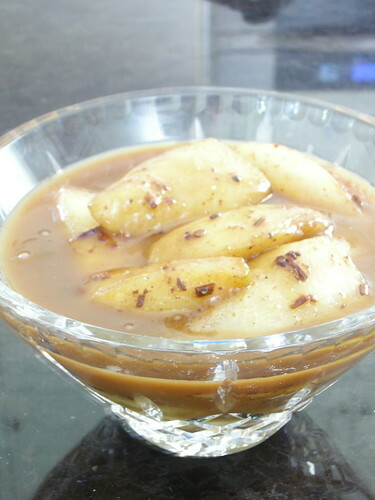 Imagine freshly ground spices, tender and juicy pears, and a sweet spiced caramel sauce. Now tell me you wouldn't love to be eating that right now. These pears have just the right amount of sweetness. I can honestly tell you they are incredible eaten on their own, but I am sure they would be a wonderful accompaniment to vanilla, caramel, or cinnamon ice cream or even a slice of pound cake. If you are very daring, they would be an indulgent addition to your morning oatmeal. With all of the frosted, sugared, and uber-sweet desserts that are so prevalent at this time of years, these spicy pears are a welcome break. The simplicity of making them is an attractive aspect as well. Spicy caramel pears are certainly a marvelous thing. Preheat oven to 400. Coarsely crush spices with a mortar and pestle. Cut butter into small pieces and put in a baking dish with brown sugar. Put baking dish in oven for a few minutes to melt butter. 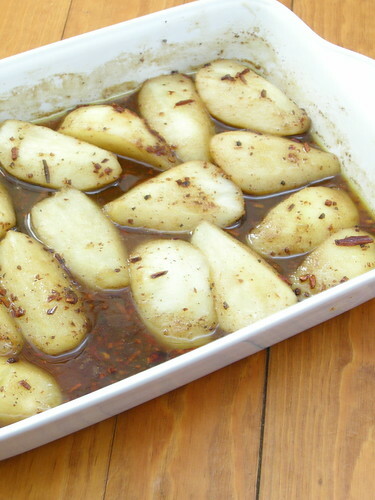 Arrange pears in baking dish, add spices and liquor, and toss everything together so that pears are evenly coated. Cover baking dish with foil and bake 30-45 minutes, until pears are baked through. Remove from oven and lift out of baking dish with a slotted spoon. Scrape juices and spices from baking dish into a heavy saute pan. Add heavy cream to pear huices and spices on stove and cook over medium heat until mixture turns a deep color, thickens, and caramelizes. 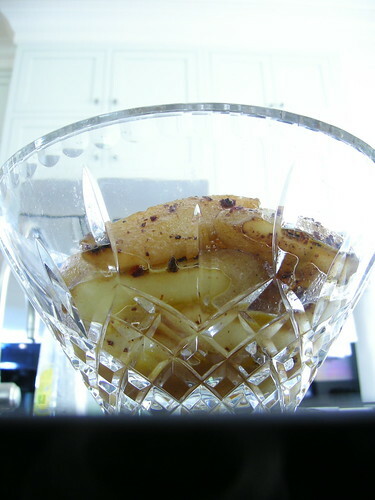 Strain finished caramel over pears.